I have to admit that I didn't really know all that much about Marie Antoinette other than what I was told in history classes about the French Revolution and the unfortunate end of Marie Antoinette and her husband. Even so, this book seemed very well researched and I enjoyed getting to know more about this woman as a young girl. 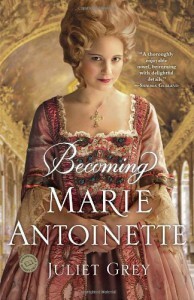 Marie Antoinette's life is not an easy one it seems, she's a princess yes, but as I've already learned from other historical novels, this ALWAYS comes with a price. Her mother sees her as a pawn in her plans to form a stronger alliance with France and puts a lot of pressure on her to get this. Her mother is very controlling and obviously doesn't think much of her daugher, which always makes me sad, because, well, your parents are the first ones who *should* love you as you are. I was really surprised about the whole non-consumation of the marriage! I mean, seriously, what is WRONG with Louis XVI??? Wiki says they had 4 children, so it must have gone right somewhere along the way, but really, it was odd. Does anyone know if this is historically accurate? Cause it's weird. And it's also another point on which Marie Antoinette is pressured from more than one side, everyone wants her to produce the next heir, but well, she can't do it on her own. I enjoyed getting to know more of this historical figure and the goings-on at Versailles (especially since I've been there, it's beautiful! 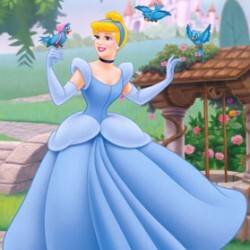 ), but it took me a long time to connect to Marie Antoinette in the book. When I finally did, everything became much more interesting and I really enjoyed the last part. Itty bitty kitty committee of lolcats says: tastes almost like tuna, but not quite.